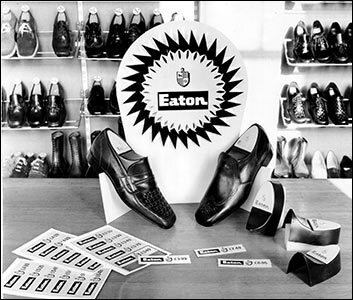 Eaton & Co.  Trade marks “Northampton” & "Exeldia"
Messrs. Eaton & Co. began business in a small way in 1910, and soon they built a fine new factory and fitted it with all the latest and best machinery. 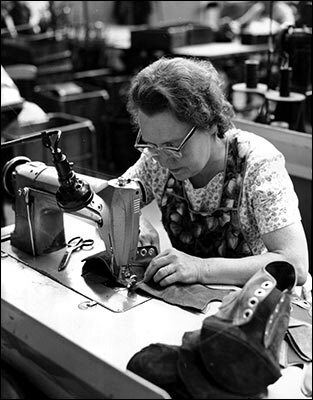 The capacity was 4,000 per week, and on the one floor system. 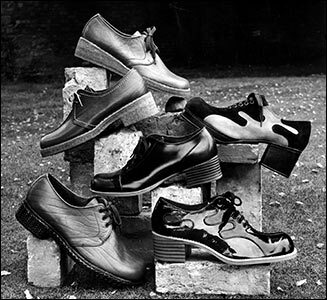 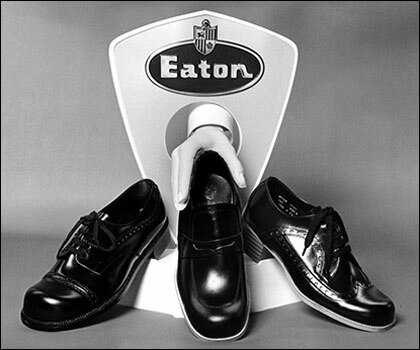 Mr. Harry Eaton and Mr. Frank Eaton were experienced in shoe manufacture, and had a large shipping trade with connections in South Africa, India and the Colonies. 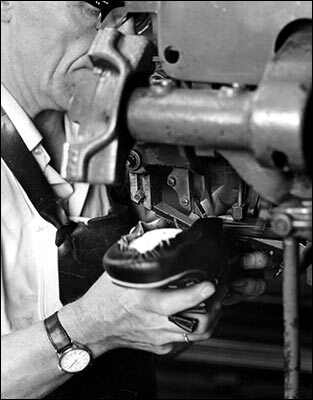 Before World War I they produced best and medium class as well as Field Boots and Riding Boots. 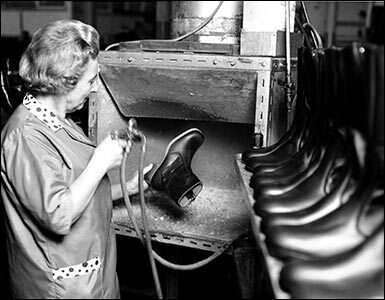 In 1916 Mounted Service Boots, British Regulation, Cossacks and Italians for the British and Allied Governments, besides Naval half boots and shoes, were the main manufacture. 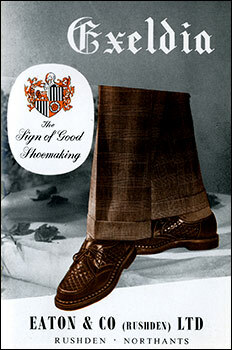 The tade mark was “Northampton” Brand - look smart, wear well, and satisfy all and sundry. 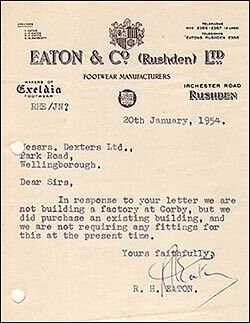 In 1952 they merged with Messrs A E Wright and Co. of Higham Ferrers. 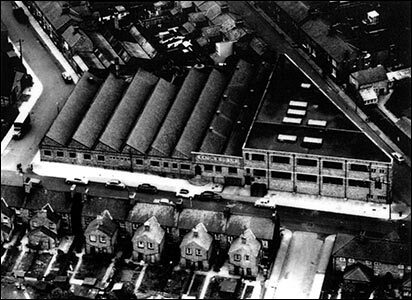 not building a factory at Corby, but we did purchase an existing building." 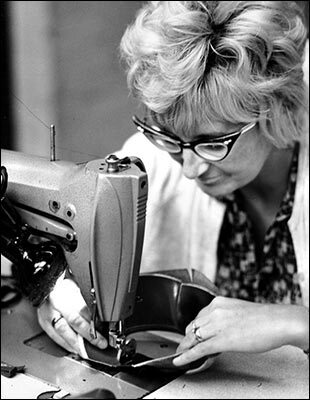 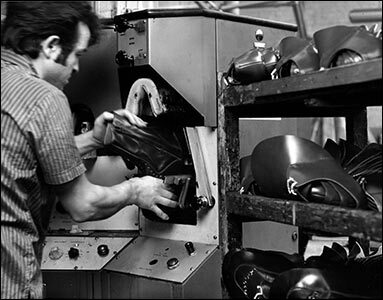 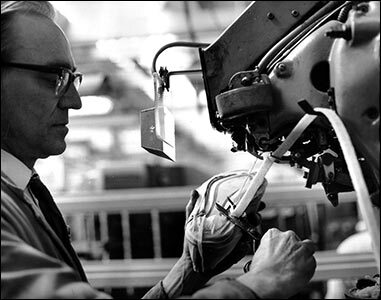 We have been allowed to copy a series of photographs showing much of the machinery and the hand operations. 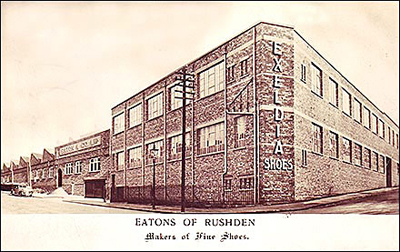 Most of the factories in Rushden during the 1960s would have looked very similar to this. 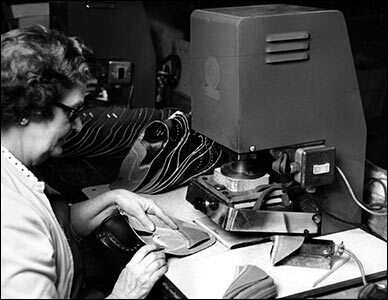 In the 1970s the conveyor system was introduced. 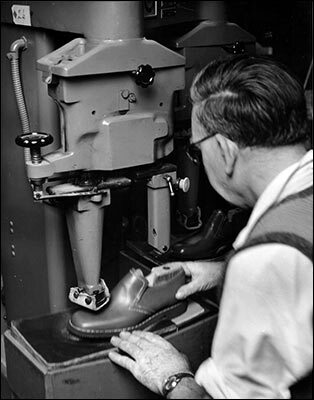 The time clock - each employee was given a number and as they pushed the pin into the allocated hole, so the clock recorded the arrival and leaving time of that employee onto a paper roll which was then used by the office to calculate the wages. 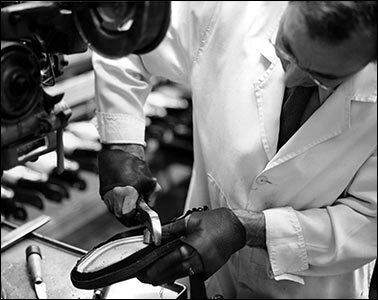 If you were a minute late you might loose pay for a quarter of an hour. 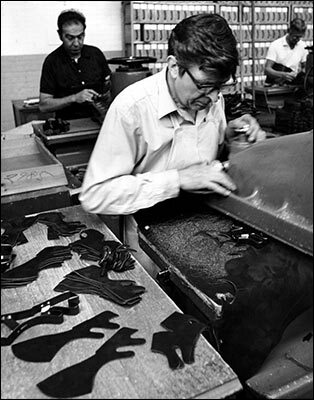 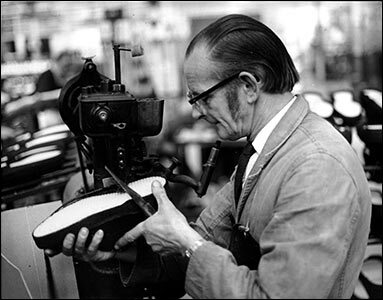 This picture shows a pressman operating his press to cut out various pieces for the upper. 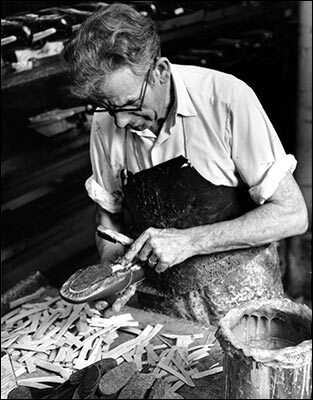 The knives were made to the shape of the required piece. 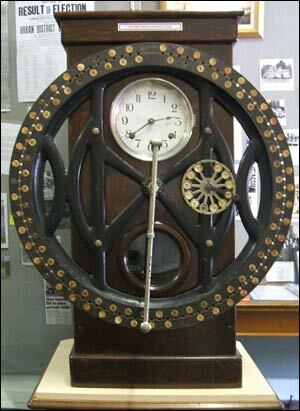 The time clock from Eatons factory has been purchased by Rushden Museum and now takes pride of place in the display. 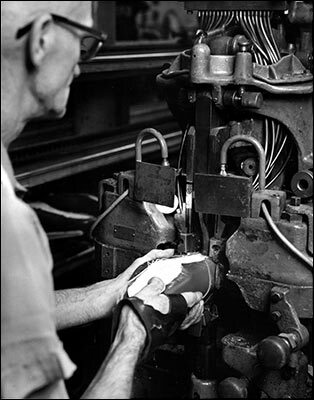 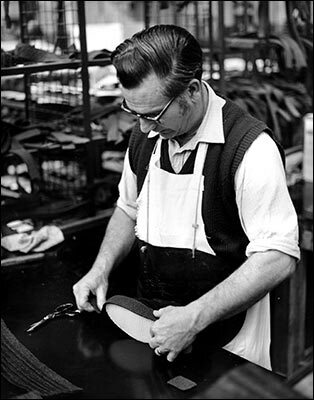 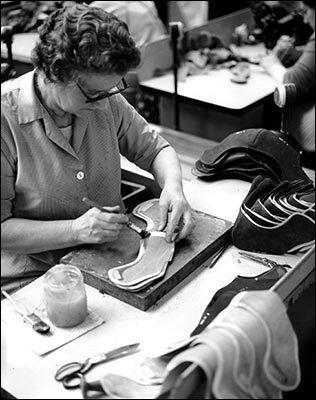 Inserting a stiffener into the sole. 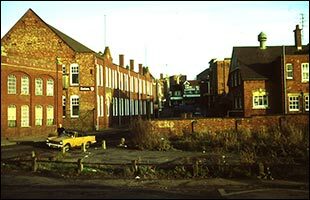 About 1975 the company moved to the College Street factory that had been built by John Cave & Sons in 1904 (following a fire in 1901). 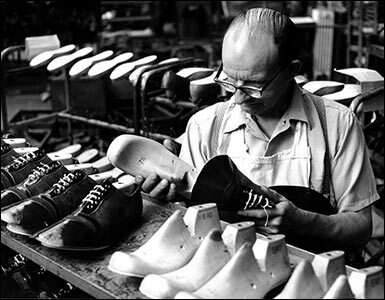 The old factory is now (2005) used as a "factory outlet" selling a few locally made shoes, with much of the other stock being imported.